Last July, I ended up having a several week break in my calendar between weddings, so my husband and I decided it would be the perfect time to go on a European trip we had been dreaming of forever: a visit to the country his family is from, Portugal, with some of his family! 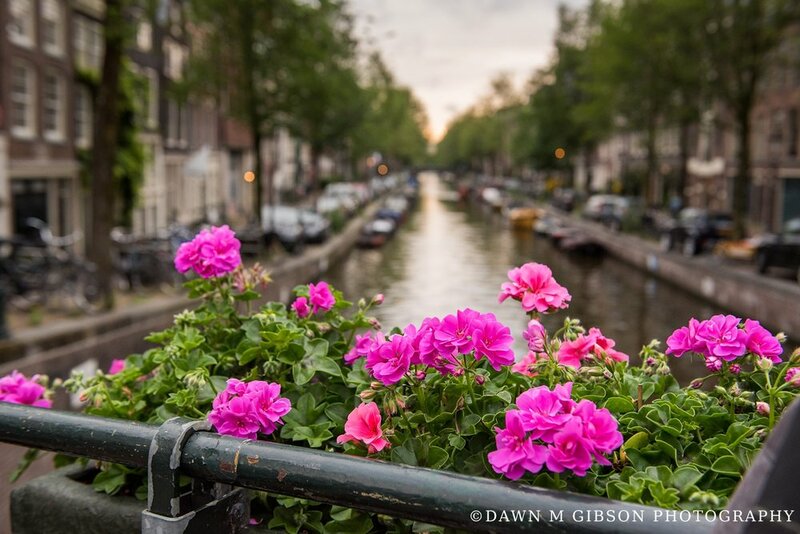 After we booked our round trip tickets to Lisbon, we decided to tack on a few additional stops to our 10-day vacation, eventually adding Amsterdam and Barcelona to the front end of our trip. 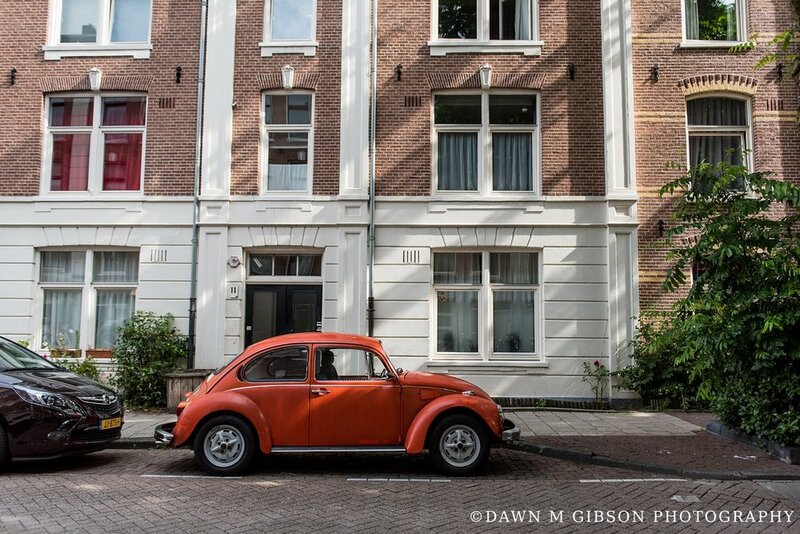 Today, I'm going to share Part 1 of our trip: our 2.5 day stay in Amsterdam! We (and by we, I mean my husband who is amazing at travel planning!) ended up finding us first class red eye tickets through TAP out of Toronto for an incredible price (which was even cheaper than any regular seat ticket flying out of Buffalo), so we decided to make the trip overseas in comfort. Having a great night's rest laying down instead of stuffed upright in an airplane seat allowed us to be refreshed and ready to go for our adventures when we landed. Since we decided to add additional stops to our trip after our initial airline tickets were purchased, my hubs looked into options and found that there was a flight to Amsterdam that departed not too long after our arrival in Lisbon, so we ended up booking that and made Amsterdam our first official stop on our 2017 European adventure! 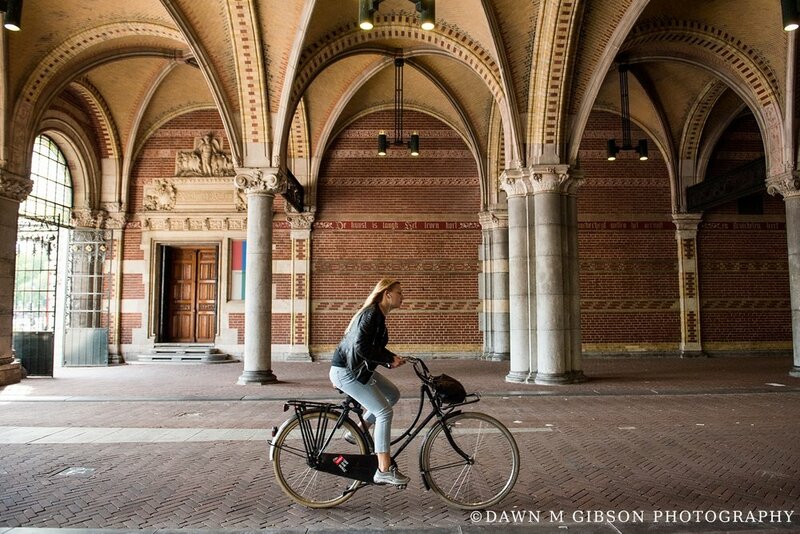 Since we had taken the red eye flight, part of our first day in Amsterdam did include some travel. But we still had most of the day to explore which was great! 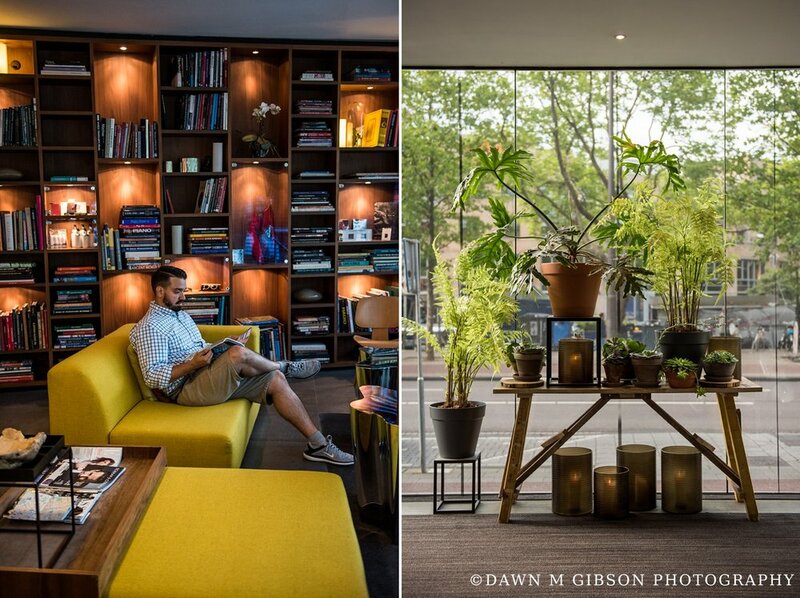 Cozy bed aside, the biggest perk of staying at the Park Hotel was it's location. We ended up taking a bus from the airport to our hotel, and one of the bus stops was just a few minute walk from the Hotel. 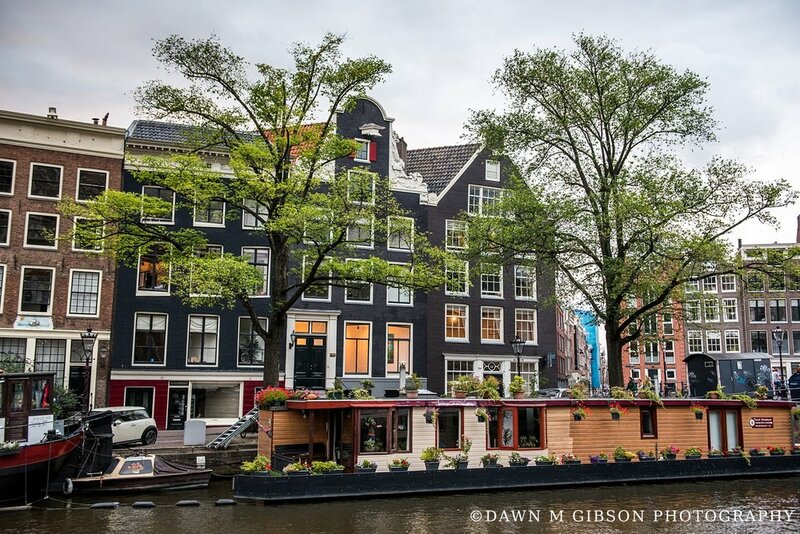 When we wanted to venture out, the area we were in was filled with restaurants and things to do/see and was also right across from one of the canals. Overall, it suited our needs perfectly! After checking in and dropping our bags, we headed out on foot for a full day of exploring! However, we quickly learned that in the food chain of transportation, pedestrian travel is at the bottom. 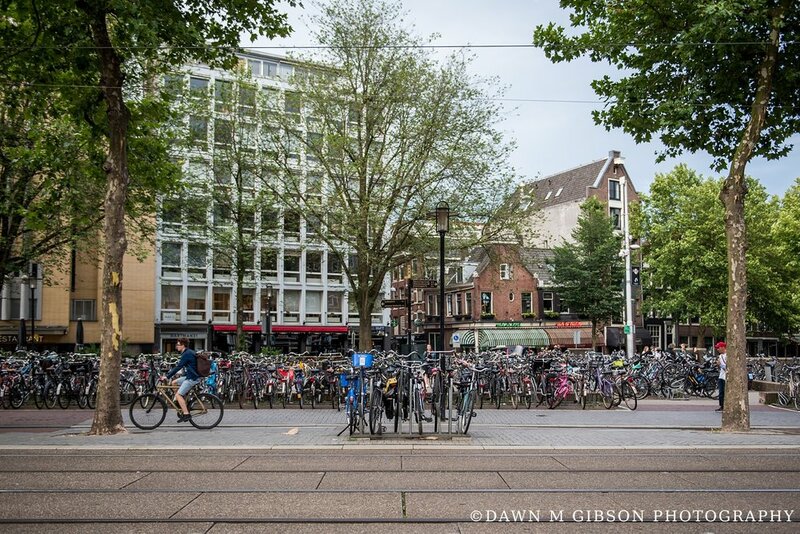 Bicycling is HUGE in Amsterdam, and what most of us would consider to just be the sidewalk (you know, the space between the road and the buildings), was actually mostly a bike path. So if you weren't paying attention to where you were walking and were oh, I don't know... looking up at the buildings or taking photos, you'd get beeped at to move out of the way for an oncoming bicyclist. 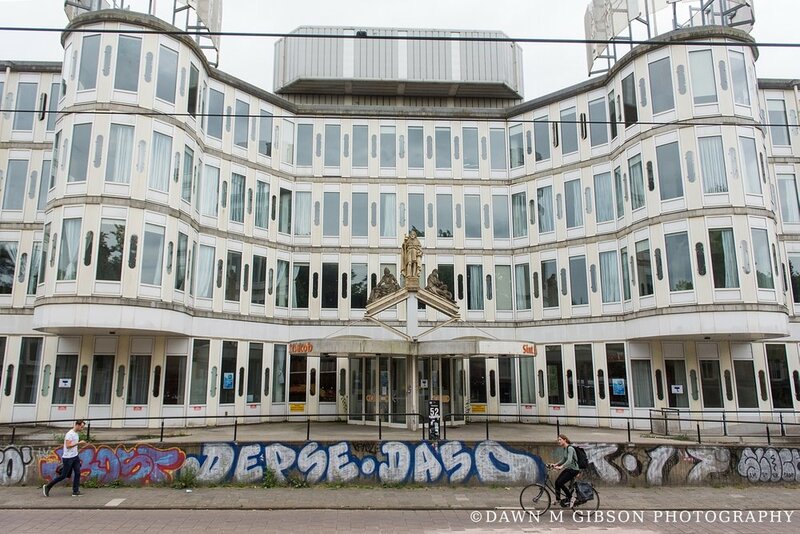 Talk about a startling welcome to Amsterdam. We also really wanted to see the city from different perspectives. After some quick research, we decided to get a 48-hour pass for a Hop On Hop Off tours. This ended up being the perfect solution for us transportation wise. 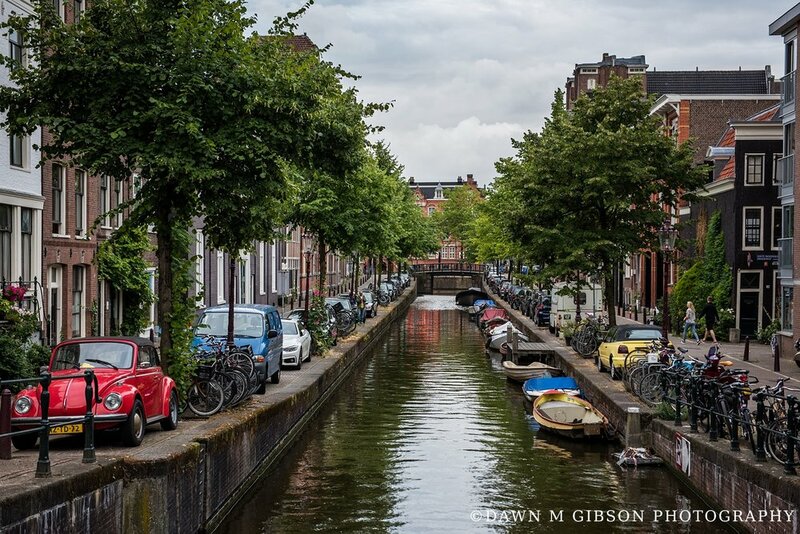 We were able to ride up high above the streets as well as down in the canals. AND we could get from one area to another quickly, so we could spend more time exploring streets of other areas than taking so much time just to walk there. Our Hotel also happened to be super close to a few of the Hop On Hop Off lines, which was a great extra bonus! I can't recall where we had lunch that day, but I do remember for dinner this first night, we decided to try a place called the Pantry. 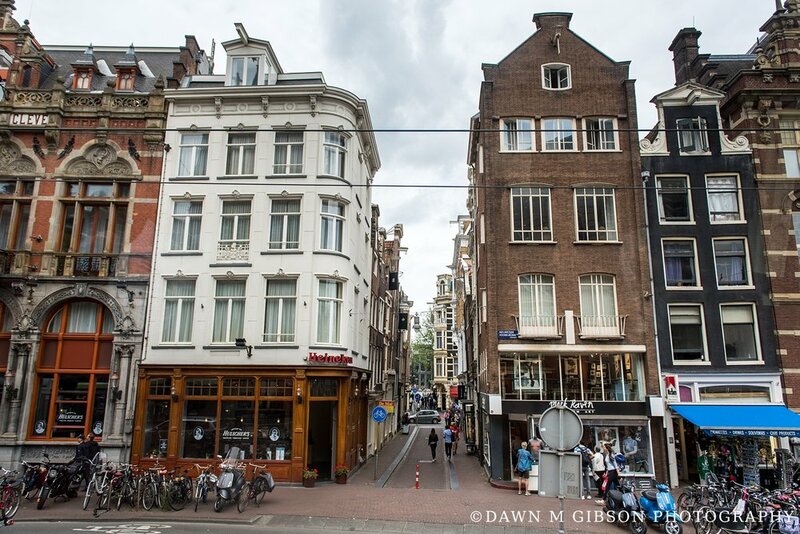 It was a super tiny, quaint restaurant that served delicious traditional Dutch food. Highly recommend! We started off our second day on foot heading towards a tasty breakfast spot we found on Yelp: Baker's & Roasters – which is a New Zealand style café with healthy and delicious meal options (sooooo good and so worth the wait!). Since we hadn't done so yet, we decided to take the Hop On Hop Off bus tour for a bit and listen to the audio that was provided, so we could learn a bit more about the places we were seeing and see things from the higher up view. 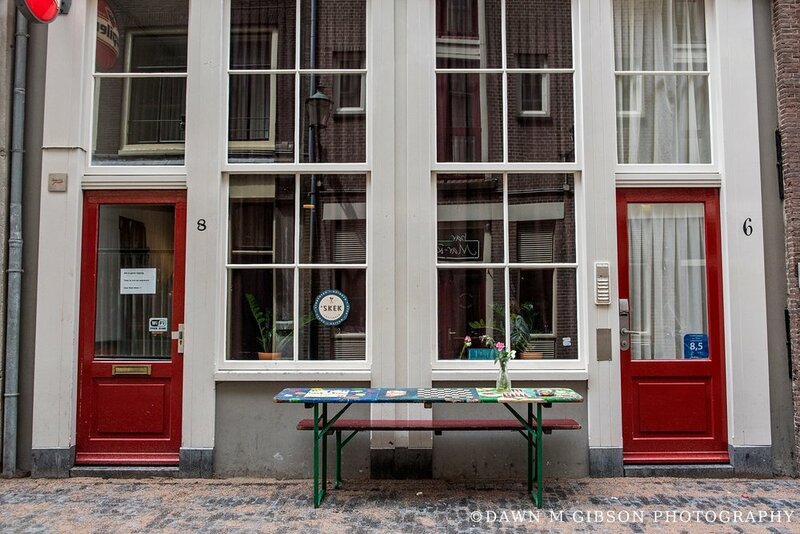 Around lunchtime, we made our way to the Anne Frank House to get a spot in line to purchase day of tickets – which are available for purchase only during a specific window of time. We arrived maybe an hour and half before the window officially opened, and thank goodness we did! There was still quite a bit of a line ahead of us, but it wasn't as terrible as it could have been. 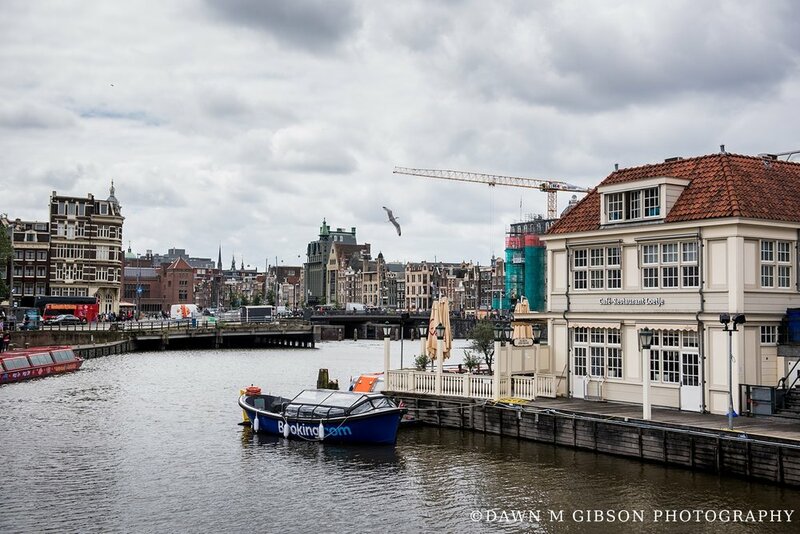 If you're in Amsterdam or planning to go to Amsterdam, definitely make sure you make time in your visit to go to to the Anne Frank House. Thinking about what she and her family endured during that time in history, by physically standing in that space, still gives me chills even just thinking about it. 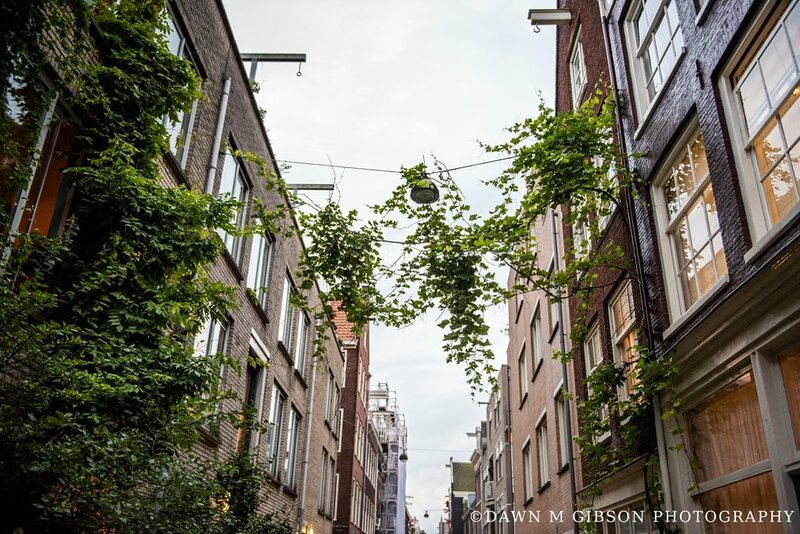 When we got out of the Anne Frank House, it was beautiful outside! 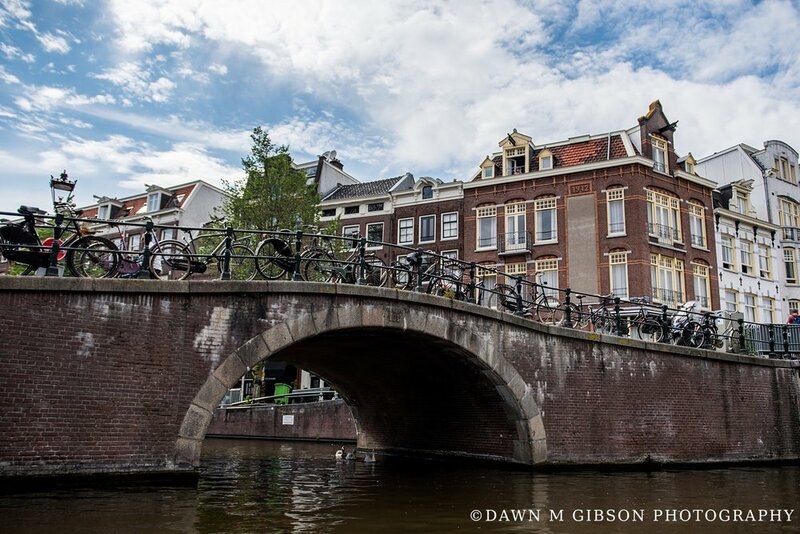 So we decided to take the canal tour for a bit before stopping by the hotel to drop off my camera and rest a bit. Later that night we explored on foot and headed over to the Red Light District (RLD), which apparently is a must when visiting Amsterdam. Though I will admit, I had no idea it was going to be anything like it was, and I would never visit that district again. Seeing women essentially on display half naked in storefront windows is something I cannot even believe is still happening. Personally, I just don't understand why women would objectify themselves in that way. But.... to each their own I suppose. And on that note... onward with beautiful photos from the first half of the day! 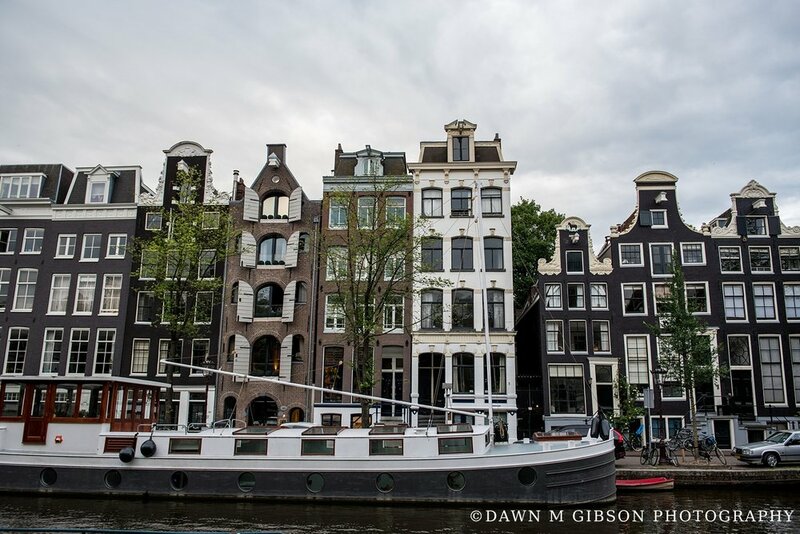 Our last morning in Amsterdam started out as a rainy one. 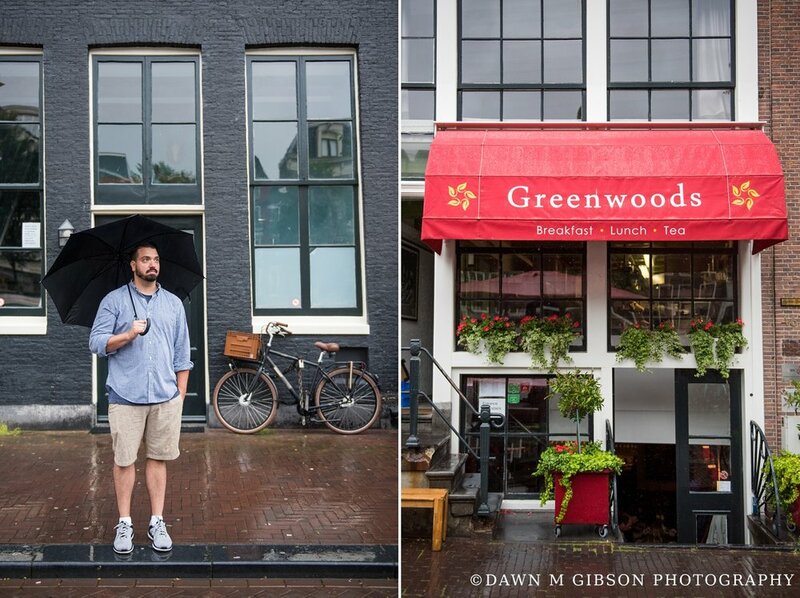 We borrowed umbrellas from the hotel and ventured out on foot to grab breakfast at a place not too far from our Hotel that had excellent reviews – Greenwoods Keizersgracht. It was a cozy, English breakfast and tea place and was just what we needed to fuel ourselves for the day. I ordered my favorite English breakfast combo – scrambled eggs with beans. YUM! 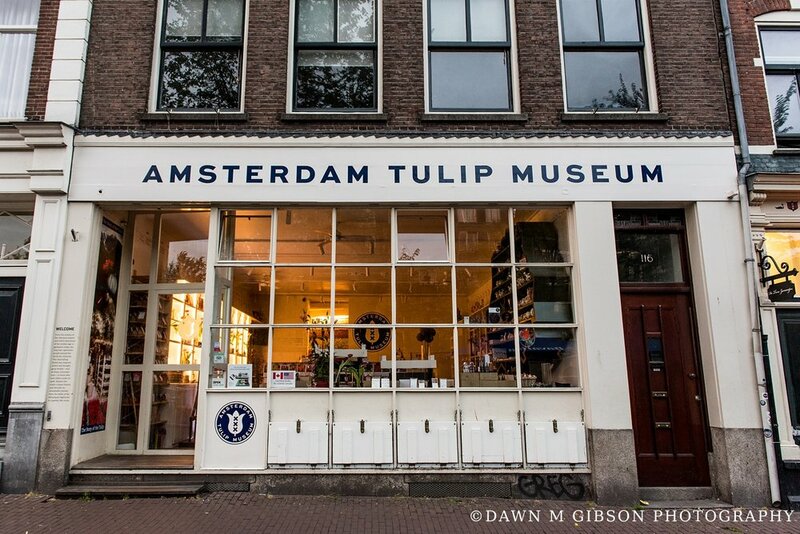 After breakfast, we visited the Bloemenmarkt – which is the world's only floating tulip market. So cool to see, even in the rain! After breakfast we needed to return to our hotel for check out, but we still had a few hours to kill before getting to the airport for our flight. Luckily, we both packed super light for this trip – all of our clothes needed for 10 days fit into two backpack style bags, plus of course I had my camera bag. Because we packed so light, we never needed to check our bags on our flights, and we were also able to carry all of our items with us while exploring when needed, without any excessive luggage holding us back. Since the airport is located a ways out of the city center, we decided to take a train ride back to the airport. But the train station was quite a ways from where our hotel was. Luckily, we still had the Hop On Hop Off tickets for about another 30 minutes, so we ended up taking one of the canal boats (which was also covered) to get to the area near the train station. 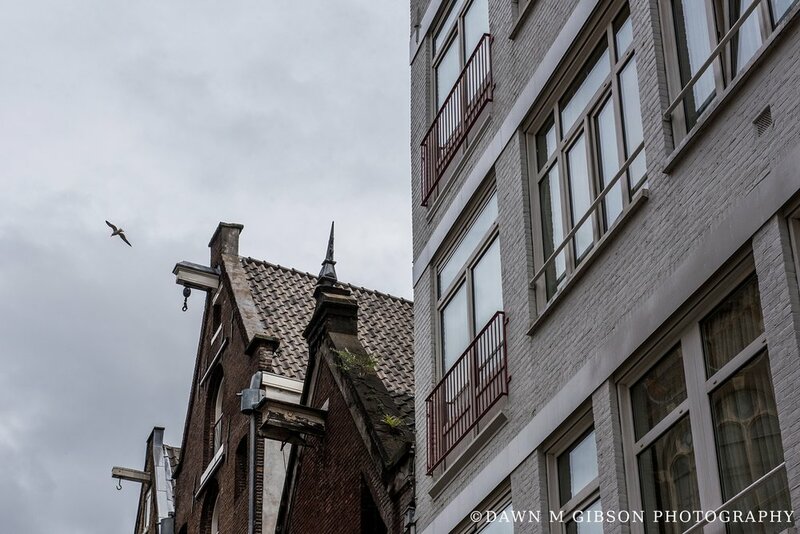 Once we were near the train station, we ducked into a little Italian place for some hot cocoa and when the rain started to let up, we went out to wander a bit more! When we made it to the train station, we discovered we were standing on the wrong side of the platform for the train we needed just as it was arriving. So we made a mad dash and caught the train JUST in time. Unfortunately, after all that rushing we ended up having a 5 hour delay at the airport, which really set us back in our plans. BUT the silver lining: apparently in Europe if your flight is delayed for more than 4 hours (for non-weather related reasons, which ours was), you get reimbursed plus get a meal voucher. Whhhhaaaat? Sure it was a bit of a pain, but getting our money back definitely made up for it.... plus we got to see a beautiful sunset! 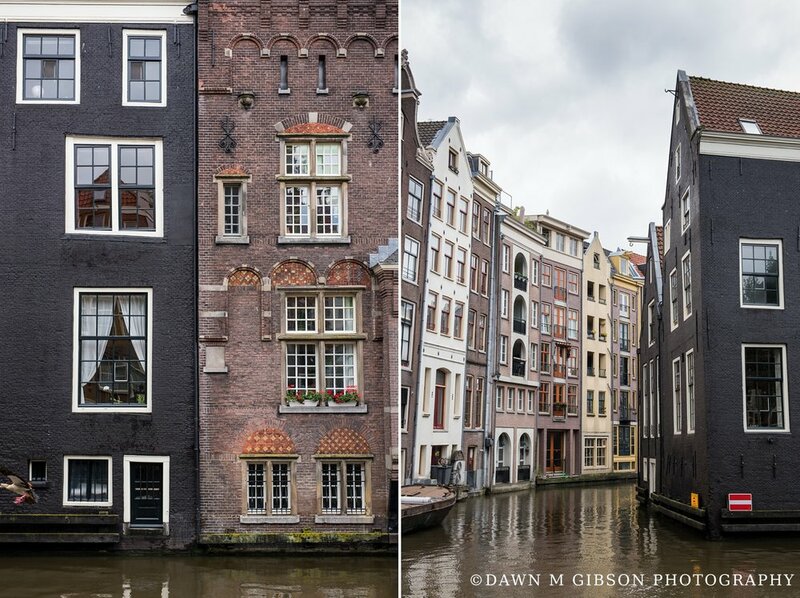 Amsterdam, you are filled with breathtaking architecture, history, and charming canals and streets. You are such a different place from anywhere I have ever been, and I loved every minute of our visit! And I hope you enjoyed reliving our adventure through this post! Stay tuned for Part 2: Barcelona and an epic closing in Part 3: Portugal!